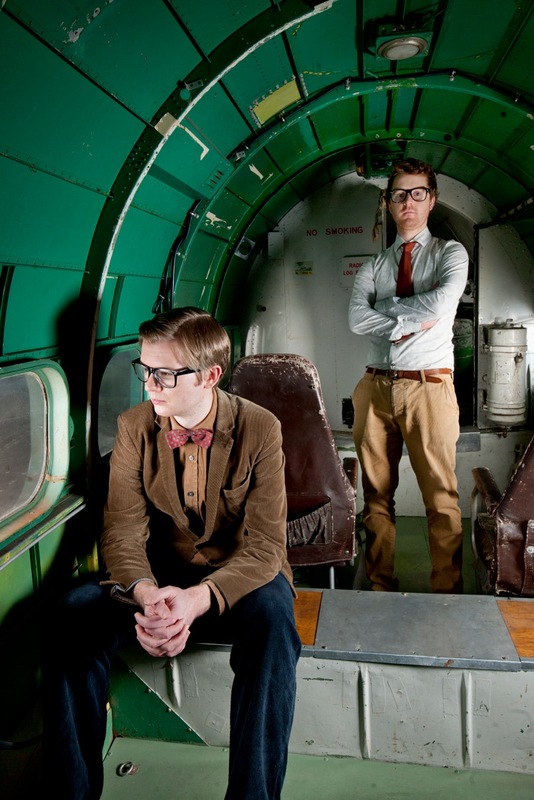 London based musical duo, Public Service Broadcasting, are to play three exclusive gigs in a secret location at the RAF Museum in Hendon as part of Museums at Night 2014, on May 15, 16 and 17, 2014. In what will undoubtedly be one of the highlights of the Museums at Night festival, the RAF Museum in North London will provide a fitting and atmospheric backdrop for the band as they perform their debut release – The War Room EP – in its entirety. Granted unique access to propaganda films from WWII-era Britain by the BFI, the band perform in front of breathtaking visuals to a soundtrack of atmospheric synths, pounding drums, Krautrock guitars and poignant piano – beaming the past back at us through vintage TV sets and state of the art modern video projections.